There is no planet B: Can Art inspire change? We are bombarded with so many different ways in which we could be greener and help look after our planet. Car adverts stress the importance of reducing your carbon footprint; magazine covers brag they have the top ten answers to living a greener life. We can’t escape it. 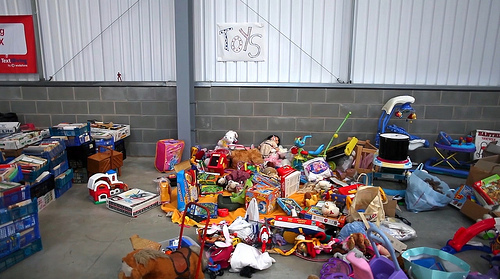 Although we can’t walk anywhere without tripping up on the words “recycle”, some of us still manage to forget there is still so much more that can be done. 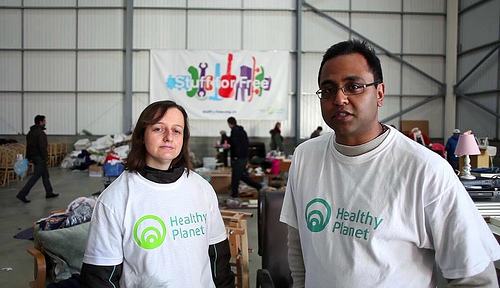 Stitch are hosting a competition inviting artists and photographers of all walks of life, to submit artwork with the theme “There is no planet B.” Stitch is a not-for-profit organisation that raises environmental awareness through the arts. Art has been used for many years as a way to express the conversations of the time- so what better way to express the desire to educate ourselves on the way to keep Earth a great place to live? 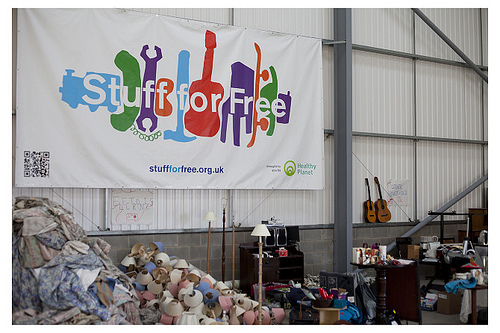 Artist Anna Garforth is an incredible artist whose approach to recyclable materials is fascinating. 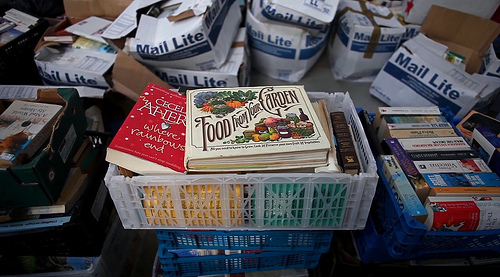 Her experimental artwork is pushing the boundaries of eco art, with pieces such as edible posters, typography using reusable materials such as paper of old yellow pages. The idea of an installation made of moss, may sound peculiar to the rest of us, but Garforth’s work transforms something which is often overlooked (unless you are a gardener) into something solid and relevant. 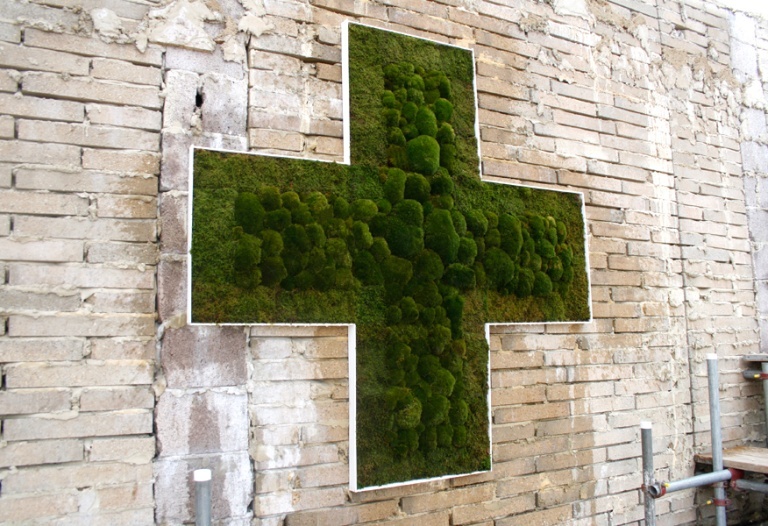 The Moss Cross is an example and was produced for the temporary project for The Urban Physic Garden. 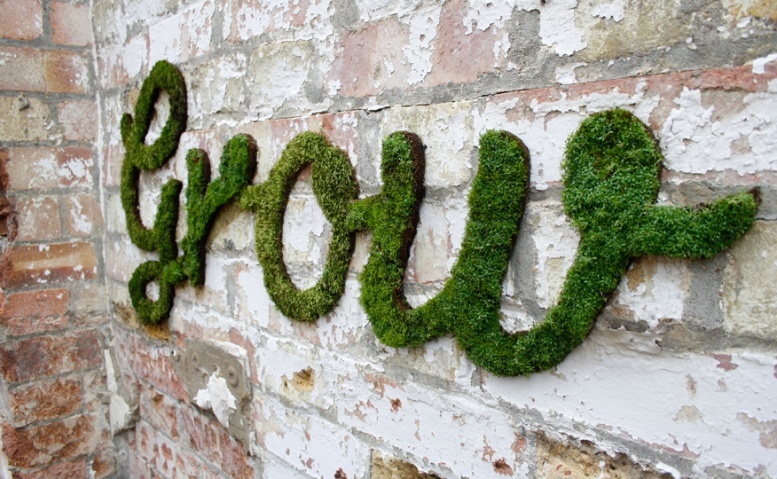 In July Garforth also displayed her moss art work at a vacant wall in Kings cross. The moss formed a beautiful symmetrical pattern, standing out against the dullness of the city concrete. Fascinating and original. 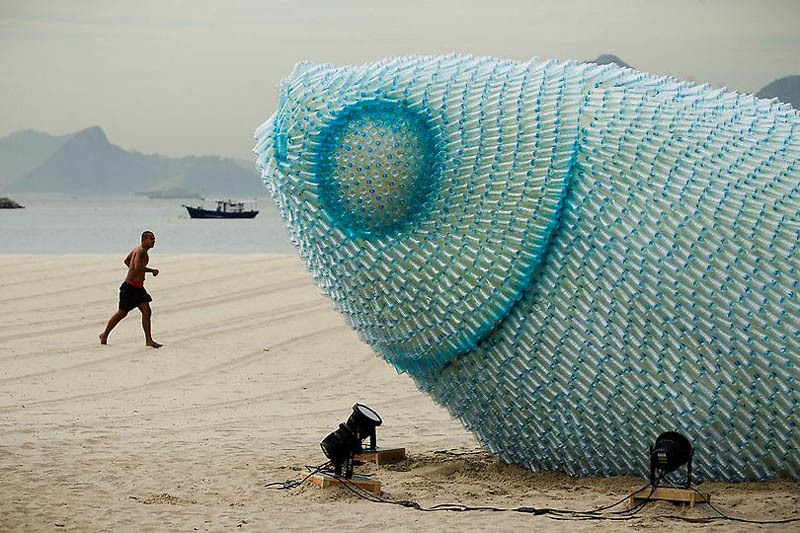 On a more international front, we were also very intrigued by the use of plastic bottles for an incredible sculpture of fish, on Botafogo Beach in Rio de Janeiro, Brazil. The piece was an inspiring form of protest which coincided with the Earth summit for United Nations Conference on Sustainable Development, which took place in the city in June. Accompanied by the slogan “Recycle your attitude”, it was a perfect example of art being a way to highlight an important cause. 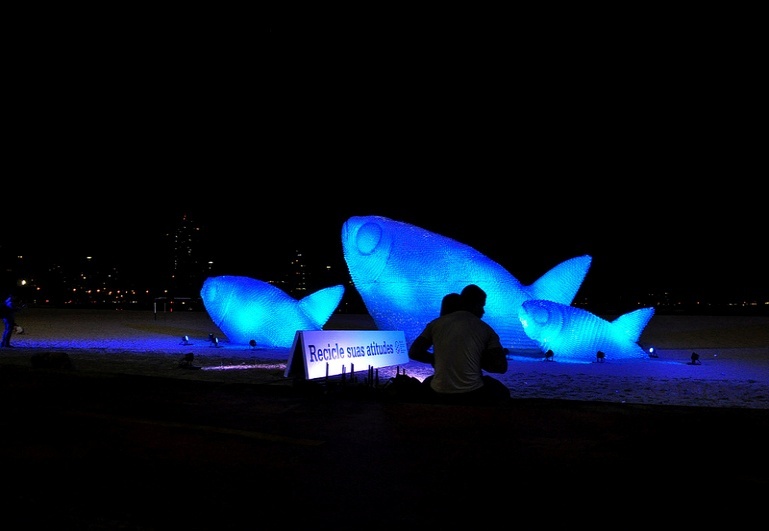 These spectacular giant fish were made up of tens of thousands of discarded water bottles, masterfully lit with internal and external lights, giving off the effect of shimmering scales. A powerful and thoughtful message about the ocean and our attitude’s to waste. As you’ve seen many artists have used materials to make art and bring attention to greener causes; this is what the Stitch competition is about. Inspiring and educate simultaneously with images which are unavoidable and predict a future which is entirely in our hands.